As the technology industry continues to grow, companies need talented employees. One way to build the talent pipeline is to connect students with technology at a young age. Read more to find out how AppConnect and the Washington Technology Industry Association are working with local high schools. Every year, the WTIA convenes individuals from the tech, education, government, and non-profit sectors to develop solutions to shared challenges. 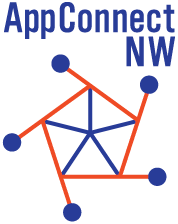 After the 2018 FullConTech event, AppConnect NW joined a volunteer effort to bring tech industry speakers into local high schools. Read more on the WTIA blog.